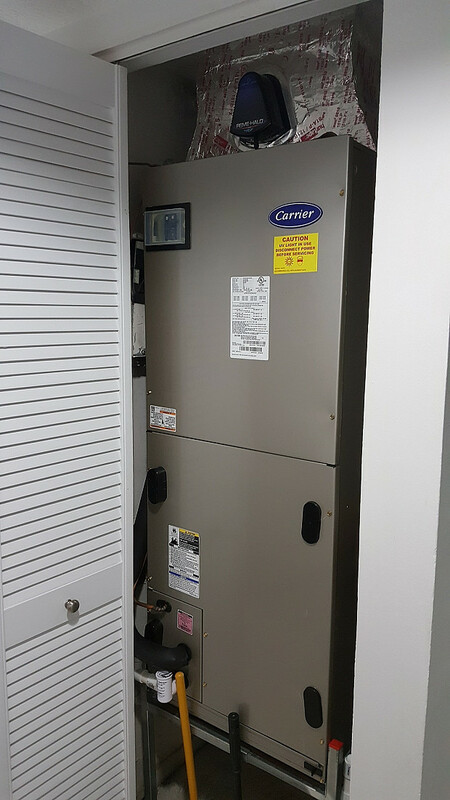 WHAT MY NETWORX CONTRACTOR DID FOR ME: Water heater and air handler replacement. WHY I CHOSE HIM: Professional website, high BBB rating. We’ve been doing a lot of remodeling following a recent downsize. We just moved from a single-family house to a villa/condo in the same town. 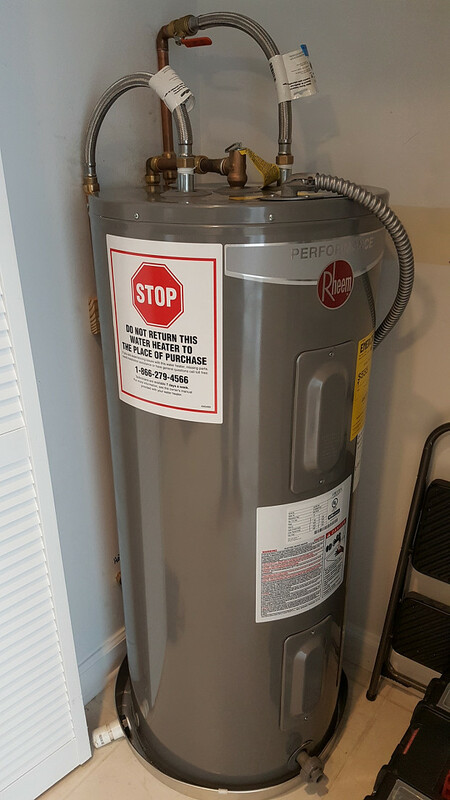 Our new home had an older water heater and air conditioner that were still working but were near replacement age. We wanted to replace these units before they failed catastrophically. Here in the Miami area, right now the weather is perfect (low to mid-70s), but in summer, functional A/C is a must. We get promotional flyers all the time in the mail. Based on an advertisement, we called one of the biggest, best-known companies around here. However, I wasn’t terribly impressed when they came out, plus the price looked like it was way too much. In our single family home, we replaced our air conditioner 3 years ago, so I already had somewhat of a reference of what it would cost. So I started looking further and that’s when I found the Networx website. Universal HVAC was the only contractor who contacted me. After they called, I went to their website, which did a good job of showing that they’re not a fly-by-night operation. They have a high Better Business Bureau rating, too. The technician came out and was initially quoting a different system. My response was, “Well, that’s fine but in my opinion, it’s not coming up as a highly rated air conditioner.” The one that the first company had quoted was a Carrier, which is within the top 10 of recommended air conditioners. I wanted an apples-to-apples quote. When he quoted the same Carrier, Universal’s price compared favorably and was more in line with what I expected. It took them just one day to do the work and the results are fine. Everything is working great, with no issues. There was one minor problem that wasn’t obvious at the time they left but that later we saw; they came and fixed it right away. The only negative was that the people who came didn’t speak English, so I couldn’t communicate with them easily. That was an oversight on the company’s part; in our area there are a lot of Hispanics, so they mistakenly assumed we’re Hispanic too. My advice: There are so many flaky contractors, especially in South Florida. Before you hire an HVAC specialist, do your due diligence – for example, check the BBB, look at reviews, and so on. We Needed a Roof Cleaning by Our Insurer’s Deadline by Jennifer L.